Vietnam blew away Malaysia’s hopes of making the final of the Asean Under-19 Football Championship with a 2-1 win in Myanmar’s Yangon Monday, and will take on favorites Thailand in Wednesday's final. Striker Nguyen Xuan Nam scored once in each half against Malaysia at the Aung San Stadium, according to the Asean Football Federation (AFF) website. The quick-paced Nam, a constant thorn in the side of the Malaysian defenders, performed remarkably, the AFF website reported. His first goal was a superb long-range strike and later sealed it for Vietnam with a header at the near post. Malaysia struck through Nur Areff Kamaruddin four minutes from the break to put the half time score at 1-1. Nam pushed Vietnam ahead again in the 79th minute with a header near the post. In the other semi-final tie played at the same time at the Youth Training Centre, hosts Myanmar missed a late penalty to suffer a 2-1 loss to Thailand. Myanmar will now face Malaysia in the third-fourth playoff on Wednesday. Vietnam were unbeaten in the group stage, where they scored up to 18 goals in four matches. 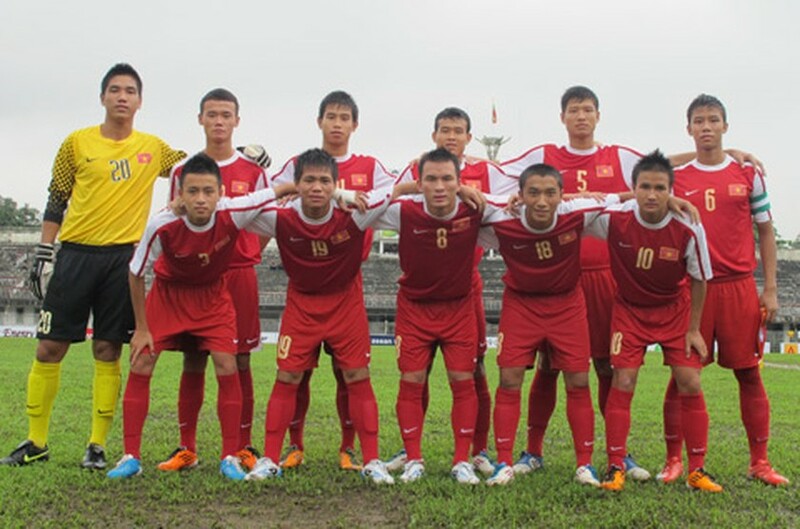 Trieu Quang Ha coach’s boys thrashed Brunei 7-0 first then drew 1-1 with hosts Myanmar. They continued to beat Indonesia 6-1 before defeating Laos 4-0.